A country’s past is defined by the stories told by one generation to the next. Kuwait’s history and development over the last 100 years has seen one of the most remarkable cultural and economic changes of any nation. In Memoirs of a Sailor, the past is brought vividly back to life by the words of an old grandmother, telling her grandson the great story of his family’s rise to wealth. As the boy listens to his grandmother’s words, her memories materialise before his eyes, and he is able to enter and re-live the story of his past. These themes of memory and imagination were in turn the inspiration for 59’s design team. Our scenic, projection and lighting designs for the production were built around themes of magic and transformation. 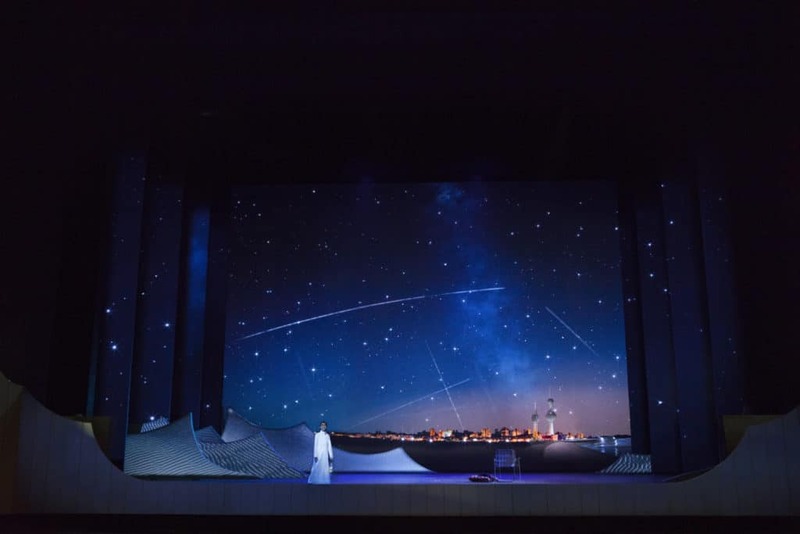 In re-imagining this much-loved story for a contemporary audience, 59 created a theatrical environment in which anything can happen: the world of Kuwait’s past was conjured out of the present – sand becomes water, dunes become waves. 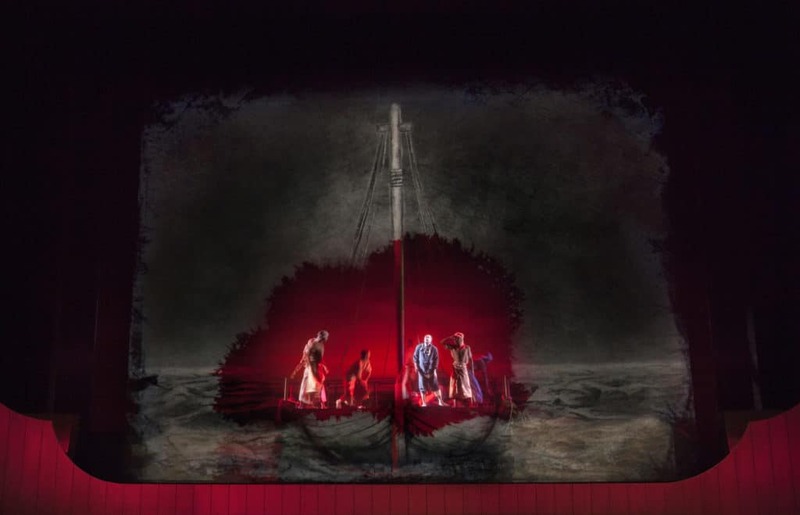 The stage became a beach, a boat, and the rich but treacherous underwater world of the pearl diver. 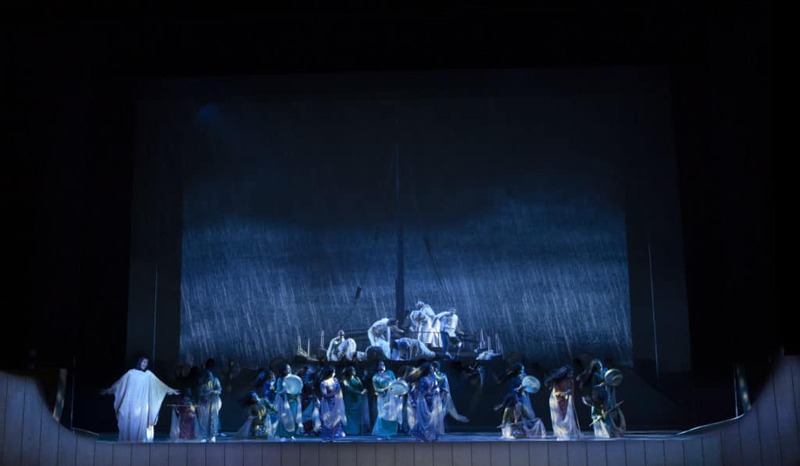 In creating this magical world, 59 made use of all of the extraordinary facilities of the world-class National Theatre at the Sheikh Jaber Al Ahmad Cultural Centre, establishing an ambitious new theatrical programme for Kuwait.